Now that they’ve added Colorado and Utah to its roster of schools, the Pac-10 is rebranding itself as the Pac-12. 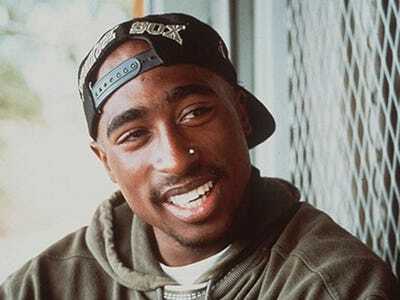 The obvious first step in that process is to secure the website Pac12.com.Except that URL is already being used for another important purpose: to carry on rapper Tupac Shakur’s legacy. The page title declares “Tupac Lives!” and features a single Amazon widget with 12 links to purchase Tupac’s music. The Pac-12 just filed a claim with the World Intellectual Property organisation to get the domain name it wants. We’ve known the BCS conferences to be bullies, but we never thought that would extend to affect the longest standing rap conspiracy theory out there.